With more than 5 years of R&D, Canibal is the only machine in the world that is able to recognize, compress and sort all kinds of bottles, cans and cups. 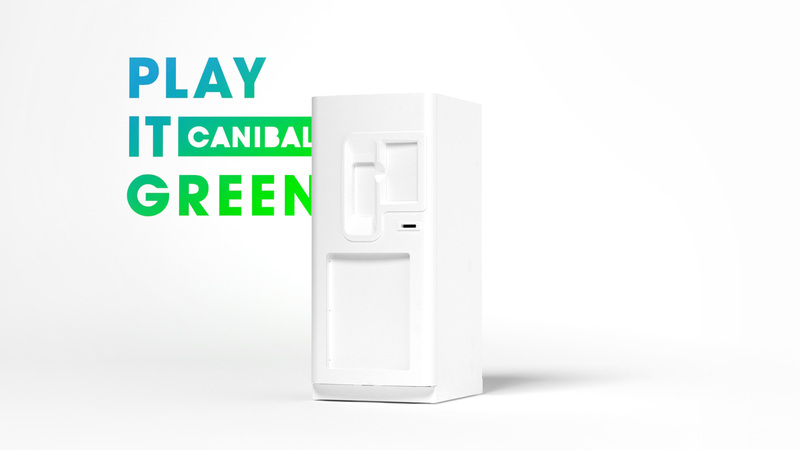 It is equipped with an interactive interface that offers different types of rewards to users who recycle their beverage wastes that would otherwise end up among the 1000 billion thrown away every year. Canibal partners with large firms and collaborates with institutions such as the MIT and Polytechnique to give a sustainable and useful life to the newly recycled materials, helping find viable solutions to preserve the environment.